As Apple's native e-book reader, iBook is now able to include PDFs alongside e-books. Here is a brief tutorial to show you how to add PDF files to iBooks so that you can read them on your iPad, iPod Touch or iPhone. Step 1. Open up iTunes. Select File > Add to Library…. Step 2. Find the PDF file that you would like to add to iBooks. You can select multiple PDFs or entire folders. Click the "Choose" tab once you make your selection. Step 3. Select "Books" from your iTunes Library. You should see the PDF file(s) that you just added, now listed. Then right-click (or press "Ctrl" and click) the PDF file and select Get "Info" from the presented menu. Step 4. Select the "Options" tab. Make sure that the "Media Kind" is set to "Book". Then navigate to the Info section of the menu. Enter any additional information about the PDF here. Titles, authors, dates and comments can be kept in this section. Click "OK" when done. Step 5. Select your iPad, iPhone or iPod touch under the "Devices" section in iTunes. Click on the "Books" tab near the top of the screen. 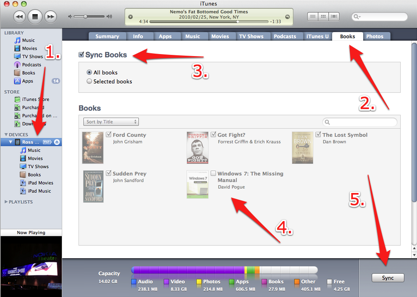 Check the "Sync Books" box and choose the "All books" or "Selected books" option. Then Click "Sync" at the bottom of the iTunes interface. PDFMate PDF Converter Professional is such a PDF to EPUB converter tool, which has outstanding ability of converting PDF to eBooks for reading PDF in iPhone, iPad, iPod, etc. It is just like watching DVD or videos on iPad, iPhone, iPad, what you need is a DVD Video to iPad iPhone Converter. This PDF Converter Pro is easy to use with a simple and clear interface. It supports converting PDFs in batches, and then loading to iPad, iPod, and iPhone. Step 1. Preparation: Download PDF Converter Professional, then install and run it. Step 2. Load PDFs: Click "Add PDF" to load files for conversion. Step 3. Choose output format: On the pane of Output File Format, choose "EPUB" as the output format. Step 4. 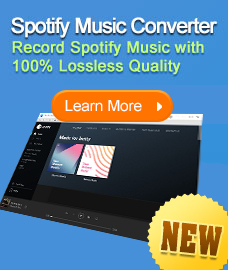 Start conversion: Click "Convert", then the conversion will be finished within seconds. After that, you can open the output folder and manage the PDF EPUB files,a and load them on your Apple devices for enjoyment on the go. Sometimes you're on the way and want to read books on your iPhone, iPad or iPod Touch, but your ebooks are in PDF format saved on your compouter. Don't worry, Free Syncios Ebook Manager can help you transfer your PDF files to your iPhone, iPad and iPod Touch easily! Step 1: Download and install Syncios Ebook Manager on your computer. Please be sure that iTunes is already installed on your computer for running this free Syncios Ebooks Manager correctly. But you do not have to run iTunes. Step 2: Connect your iPad to computer with USB and launch Syncios Ebooks Manager. Step 3: Go to the left panel of Syncios Ebook Manager and choose Ebooks Tab. Then, click Import to add your PDF files from PC. After that, check the files on your iPad and enjoy!